Accused of animal abuse? We can help. Animal cruelty is a serious crime in California. In fact, California has the some of the strictest animal abuse laws in the nation. Allegations of abuse or neglect of animals are prosecuted aggressively, which commonly leads to hasty allegations being made by prosecutors. Oftentimes animal abuse allegations arise from unintentional circumstances such as leaving your pet unattended in your car for too long, accidentally injuring your pet, or simply lacking the ability to properly care for your animal. If you have been charged with animal cruelty, you are facing severe punishment including fines, imprisonment, counseling, and can even have your animal(s) removed from your care. You can also be prohibited from owning any kind of animal for as long as a decade for violating certain animal abuse laws. Due to the severity of this crime, you should call an experienced attorney immediately. An experienced attorney will be able properly assess the facts in your case and develop a strong defense strategy. 1. Maliciously and/or intentionally torturing, maiming, wounding, mutilating or killing an animal. abusing and/or causing an animal to suffer in any way. 3. Maliciously or intentionally maiming, mutilating or torturing a reptile, bird, amphibian, mammal or fish that is an endangered or protected species. If you are convicted of this offense, you will face a separate count for each animal harmed. There are many other crimes associated with animal abuse that are specified under California law. A situation that frequently happens with strays is that your pet escapes or runs away, and somebody calls and reports the animal is wandering around the street and may be in trouble. An animal control officer collects the animal and brings it to the pound or a shelter. If the pet is wearing a license or has an ID implant, an animal control officer or another official will contact you to pick up the pet and you will have to pay charges to get your pet out of the pound before you can take it home. No criminal charges are normally filed. However, abandoning your pet or allowing it to roam unsupervised is a misdemeanor. When the official who took custody of your abandoned or stray pet establishes that you’re the owner, you will be liable for all costs associated with boarding and feeding your animal, you won’t get your animal back until you pay the costs, and if you don’t pay it may be put up for adoption or euthanized. If your animal is injured it will be taken to a veterinarian and you will be liable for the cost of medical care, or it can be euthanized immediately depending on how severely it’s hurt. If the animal shows evidence of abuse, criminal charges may be filed. Criminal charges can also be filed if it can be proven that you willfully abandoned the animal (PC 597s). If a member of your household witnessed you take your pet off and abandon it, or if a former neighbor reports that you moved away and abandoned your animal, you may face criminal charges. Leaving an animal unattended in a motor vehicle without proper ventilation and/or subject to heat, cold, or other dangerous conditions is a misdemeanor. Depending on whether the animal is hurt, you may be fined up to $100 per animal for a first violation. When a complaint has been made alleging dog fighting, the investigating officer(s) has authority to enter the property where the dog fighting is supposed to be taking place without a search warrant. Own, possess, keep, or train a dog intended for fighting. Cause any dog to fight with another dog, for amusement or gain. Punishment for dog fighting is 16 months, two, or three years in jail, a fine not to exceed $50,000, or both the fine and jail time. If you’re convicted of 597.5 you are prohibited from owning, living around, or having any control of an animal for 10 years. Attending a dog fight, or being present in a place where people fight dogs is punishable as a misdemeanor with up to a year in jail, a fine of up to $5,000, or both. Selling or giving away an animal as part of a commercial transaction on a street, in a parking lot, in a carnival, or on a boardwalk or other public thoroughfare is illegal. First offenses are infractions, and you can be fined up to $250, but you cannot receive jail time for an infraction. A second offense can be filed as a misdemeanor. If on a first offense you place the animal in a dangerous situation where it’s likely to be hurt, or if the animal is hurt, you can be punished for a misdemeanor. Misdemeanor violations of PC 597.4 are punishable by a fine of up to $1,000, depending on the circumstances of your case. If you willfully poison somebody’s animal it’s a misdemeanor. If you willfully poison an animal, you may be charged with animal abuse. If you put poison out on your property to control pests without posting warning signs and an animal, such as a neighbor’s pet, strays onto your property and is poisoned, it’s a misdemeanor. You have to leave warning signs up until you remove the poison from your property. • Self defense /defending another person – you needed to stop the animal from attacking you or another person. • False accusation – you did not commit the reported instance of animal abuse. • Lack of intent – you did not maliciously or intentionally harm the animal. 1. If a family member is convicted of animal abuse will we lose our family pet? 2. What if I don’t have the money to pay to get my animal out of the pound? If you don’t have the money to pay, you can request a payment plan and the county may allow you to make payments to pay off your bill. Usually the county will work with you because they want to see the animal is taken care of. 3. What if I didn’t know anything about animal fighting taking place at the location I was in and I got arrested in a sting operation? When you’ve been charged with a crime the prosecution has the burden of proving beyond a reasonable doubt that you committed that crime. You need to call an experienced Wallin & Klarich attorney to help you plan your defense strategy. Can I sue somebody for falsely accusing me of animal abuse? If you can prove somebody slanderously accused you of animal abuse it’s a tort. If you have been cleared in an investigation or found innocent of the charges by a jury, you can file a case in civil court, provided you know the name of the party who accused you of the abuse. defense attorney immediately. At Wallin & Klarich, we have been successfully defending clients accused of animal abuse for over 30 years. 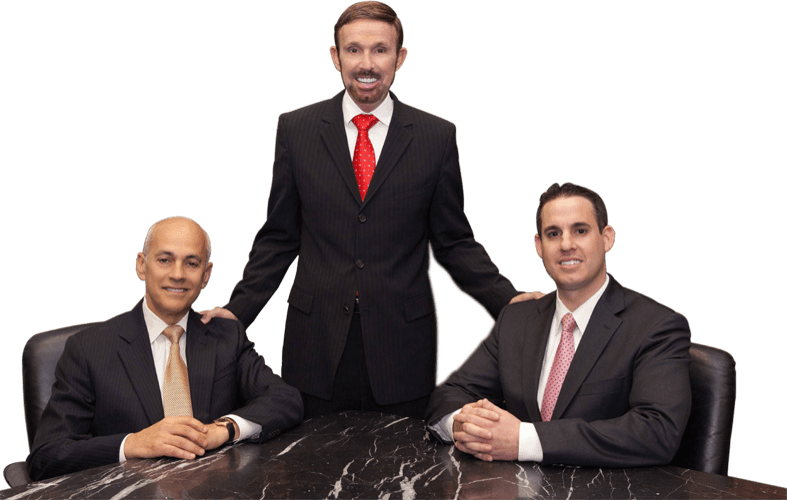 Our attorneys have the skill and experience necessary to help you obtain the best possible outcome in your case.